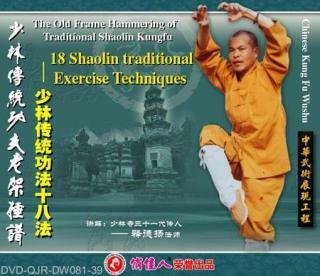 The Shaolin 18-techque of traditional Shaolin kungfu is developed on the basis of Shaolin basic skills. These techniques give prominence to the transition of footwork, handwork and legwork as well as the interlinking combination of movements in routines. Persistent practise of these techniques will provide you a firm base to your further study of Shaolin wushu. In the same time, you can also appreciate the infinite charm of Shaolin Kung fu.